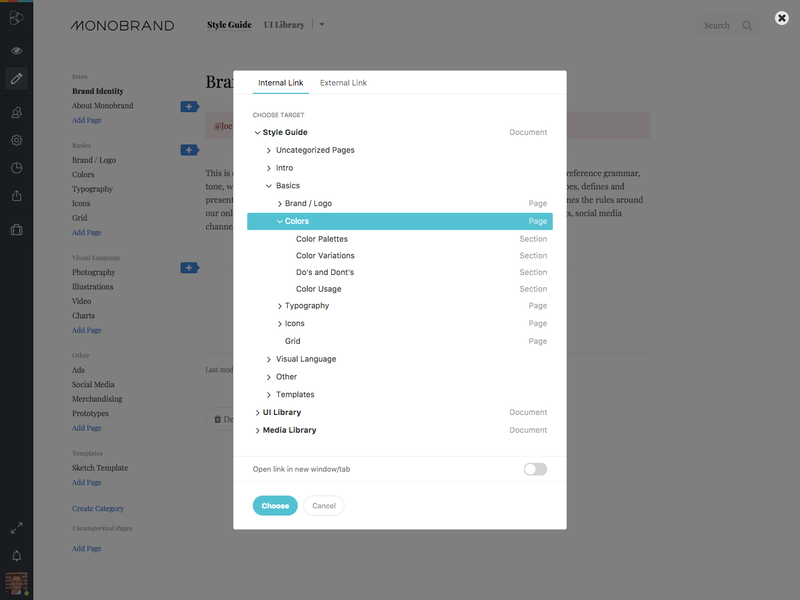 You can now set permanent links to documents, pages, and sections within your Frontify Style Guide. Just choose the area you want to link to with a simple click. Additionally, you can decide to open the link in a new tab. Connecting internal resources with the use of the new link browser has the advantage of setting a permalink. This means that your link will stay valid, no matter if you rename your document or move it to an entirely different section. Alternatively, you can use the same link browser to link to an external source as well. And yes: Permalinks are supported in multi-language environments as well. Just contact us if you have any additional questions.